“Seizing the Mobile Health Opportunity.” Isobel Coleman, The Council on Foreign Relations (Blog). May 3, 2011. “Health care by phone? There’s an app for that: Using mobile technology, a USM team helps bring medical care to the rural poor of Ghana.” John Richardson, The Portland Press Herald. 13 March 2011. “MoTeCH: A Mobile Approach to Maternal Health Care | MobileActive.org.” Anneryan Heatwole, MobileActive.org | A Global Network of People Using Mobile Technology for Social Impact. 10 Feb. 2010. 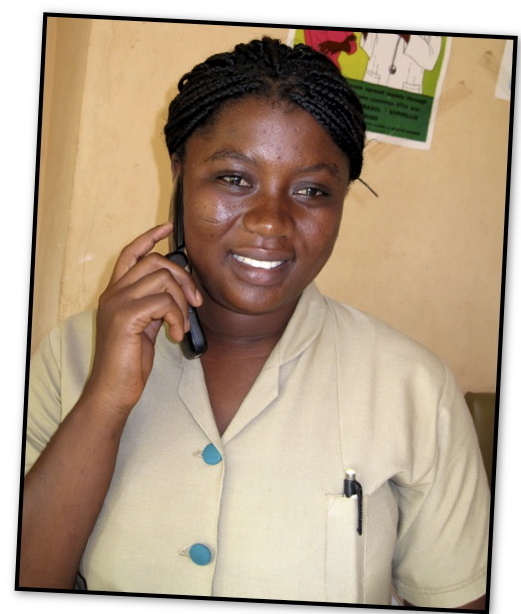 “GHANA: Cell Phones Cut Maternal Deaths.” IRIN 1 Dec. 2009. Web. MoTeCH Calling #1, Why MoTeCH? MoTeCH Calling #2, What is MoTeCH?